It's strange how a new year arrives and we all hold hope for the wonderful things to come and are so relieved to put the past year behind us. This happens to me every year and I am always optimistic that the fresh new opportunities are out there, just waiting to present their glorious possibilities. So it was this year as we drew 2017 to a close, ever mindful of the dreaded Thomas Fire burning in southern California. What we didn't realize at the time, was this fire would change our community in ways we never anticipated. Once the mountains were denuded of vegetation, the following rainstorm brought tons of boulders cascading down the hillside killing 23 people in the middle of the night, destroying homes, and leaving a community reeling in despair. Multiple evacuations occurred for the residents, retirement communities, and schools over the next few months. It has been a time to be thankful for the love and kindness of strangers and first responders, to be grateful for what we do have, and to realize that tomorrow is not promised to any of us, no matter how much money we have. Turn the Page Uganda has taken a break from asking our local community for support, as the focus rightly so, needed to be for the residents here dealing with trauma. It is only now, some five months later, that we feel ready to continue our quest to assist students and teachers in Uganda. Education is the greatest gift we can give to another fellow human. And so it was a pleasant surprise to be contacted by some students at Laguna Blanca School in Hope Ranch, who wanted to help children half a world away. Their determination to make a difference during our local trauma is heartwarming and inspiring. Together they have raised enough to support an entire school to receive brand new textbooks! Not only did they raise funds, but they decided to become pen pals with some of the girls at a secondary school we have supported in the past. Learning about other cultures and understanding that we are not all that different from each other is an important step of growing up. 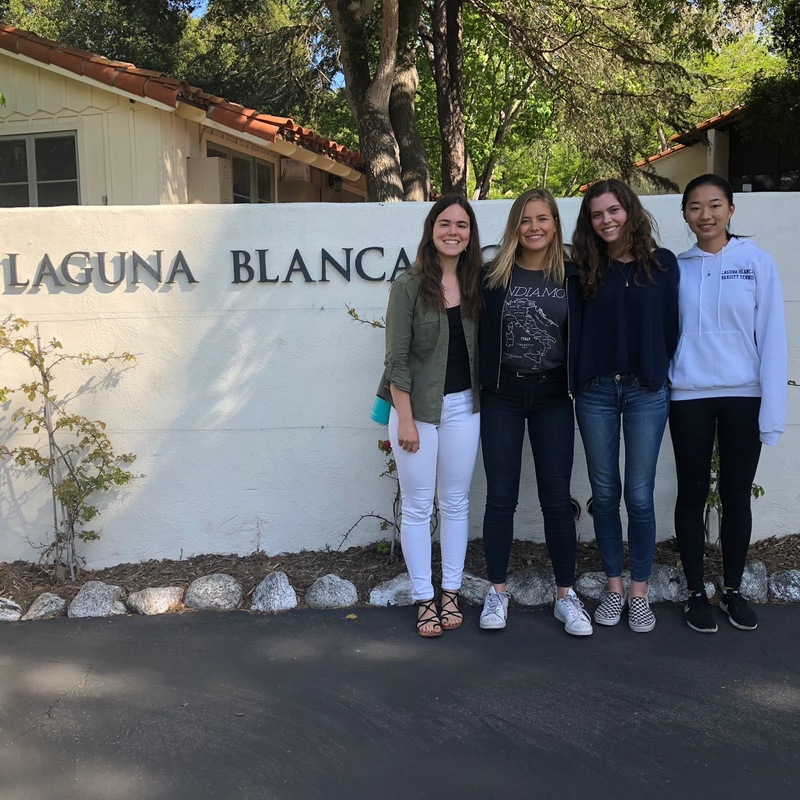 The gift these Laguna Blanca students gave represents the generosity and caring people have for others in need, while making life-changing possibilities for kids who struggle to stay alive on a daily basis. They renew my hope for the future!